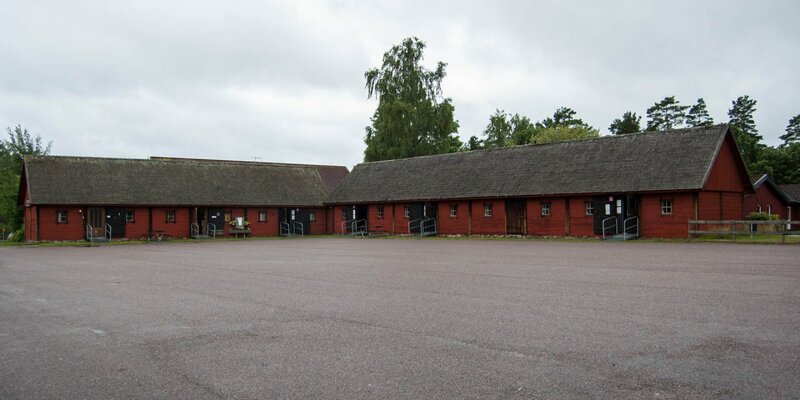 The hertiage museum Väckelsångs Hembygdsgård consists of several old wooden buildings on the outskirts of Väckelsång, about 15 kilometers north of Tingsryd. The local museum Väckelsång is located near an Iron Age burial ground just behind the church. There are three old wooden buildings on a park-like site. A few steps behind the entrance to the park is a large two-storey wooden building, which used to be the old inn in Ingelstad. The house was dismantled piece by piece and rebuilt in the park in 1958. 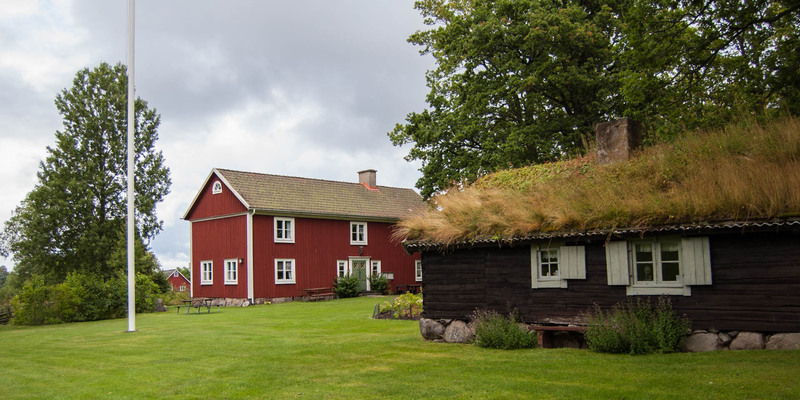 The second building and center of the local museum is the Jängastugan, a small dwelling house, which used was formerly outside of the village and moved to the park in 1933. 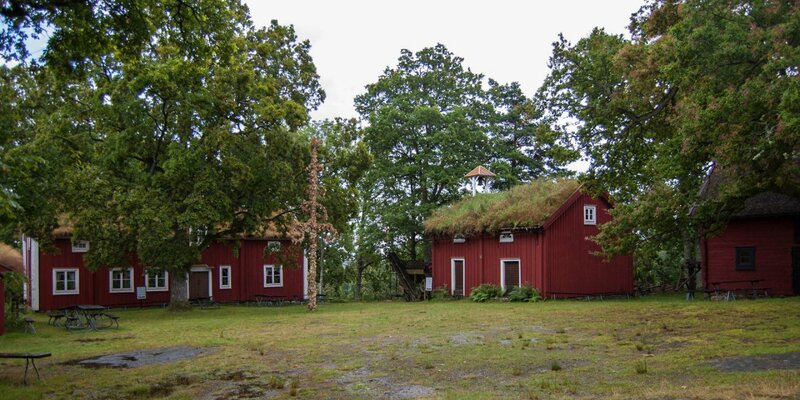 The building is a so-called Ryggåstugan, a single-storey house with no ceiling between the living area and the roof. Depending on the region, the roof was made of different materials – the roof of the house in the museum is covered with sod and turf. 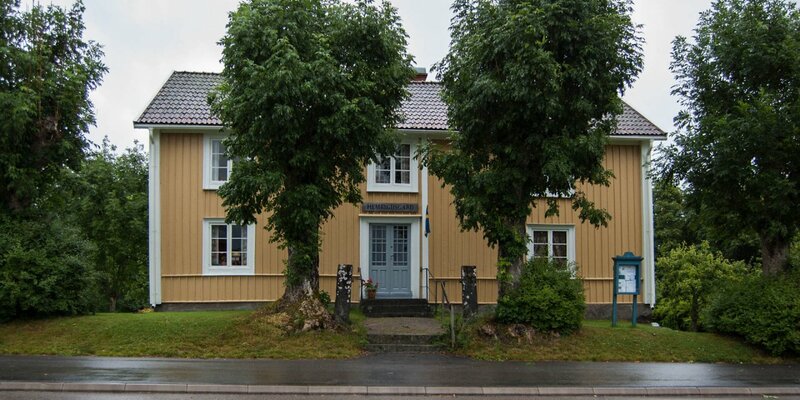 The third building is a part of an old church stable, a building formerly very common in every Swedish village and serving as some kind of parking lot for the horse-drawn carriages of the church visitors. Various collections and exhibitions are housed in the buildings. This includes a small school museum, an old weaving room, the workshop of an shoemaker and agricultural equipment.